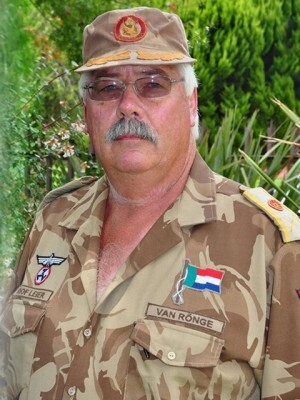 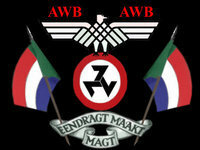 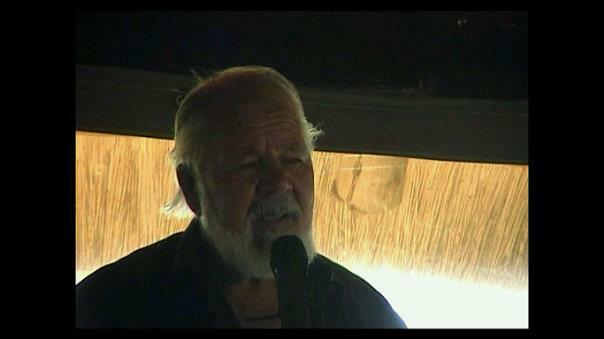 Leier van die AWB: Steyn von Ronge. 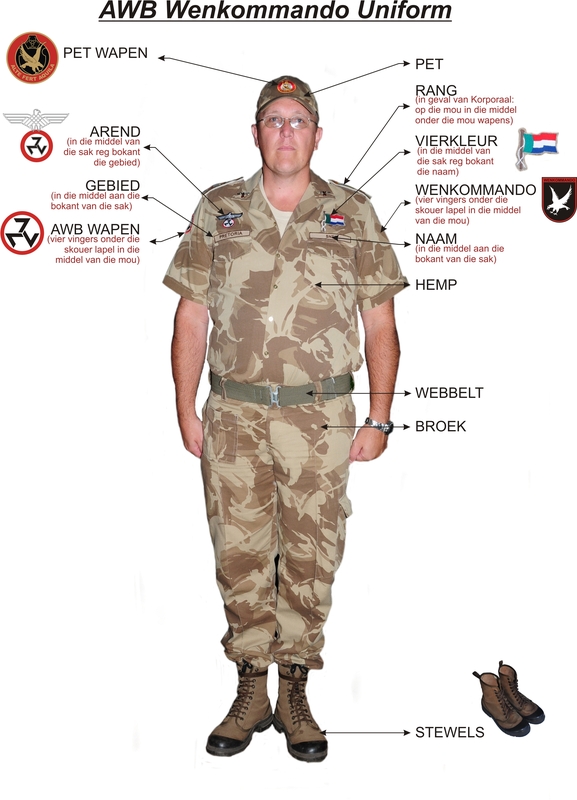 Bevelvoerder Kaapland: Generaal C White. 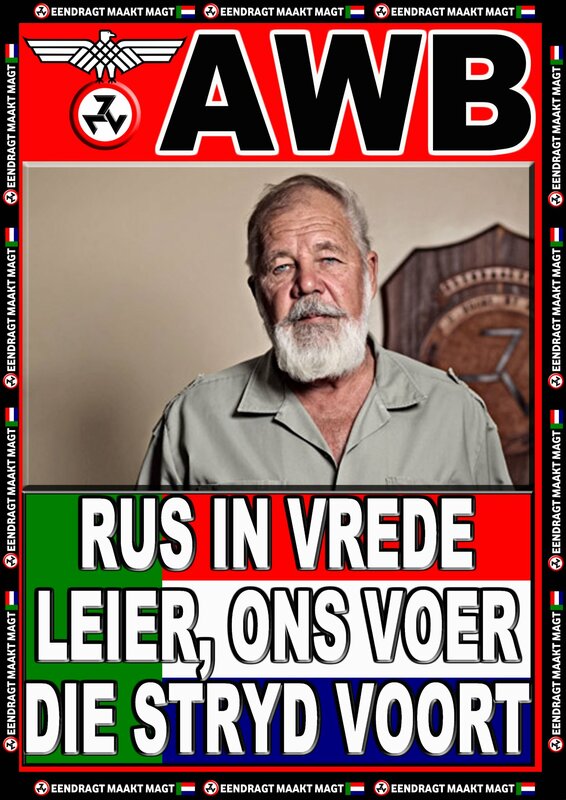 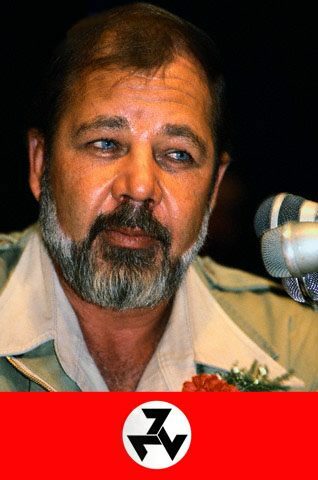 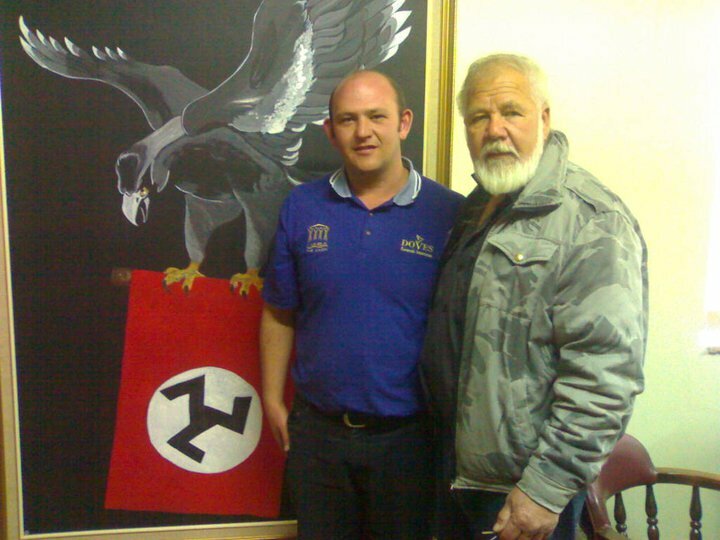 Weskaap Bevelvoerder: Kolonel J Spies. 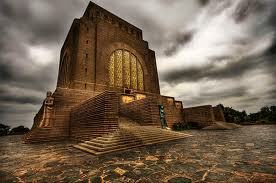 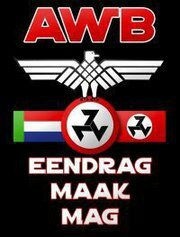 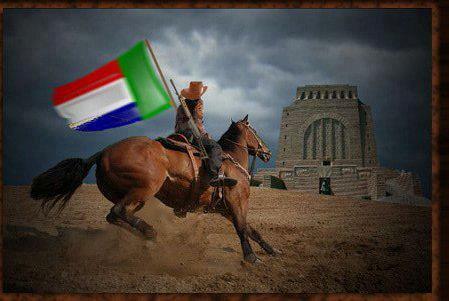 Weskaap Hoof van Admin: Hoofkommandant A. Horn. 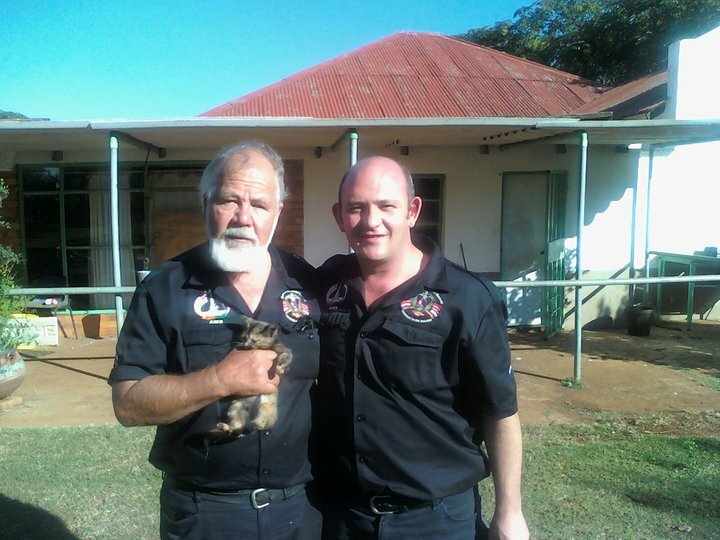 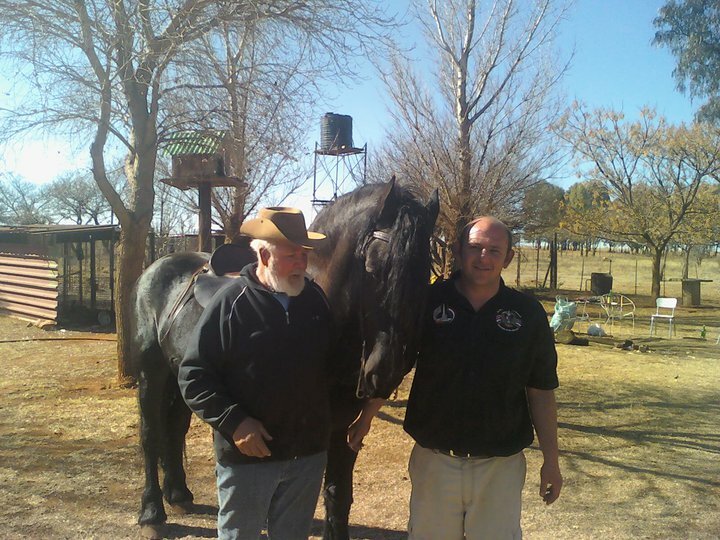 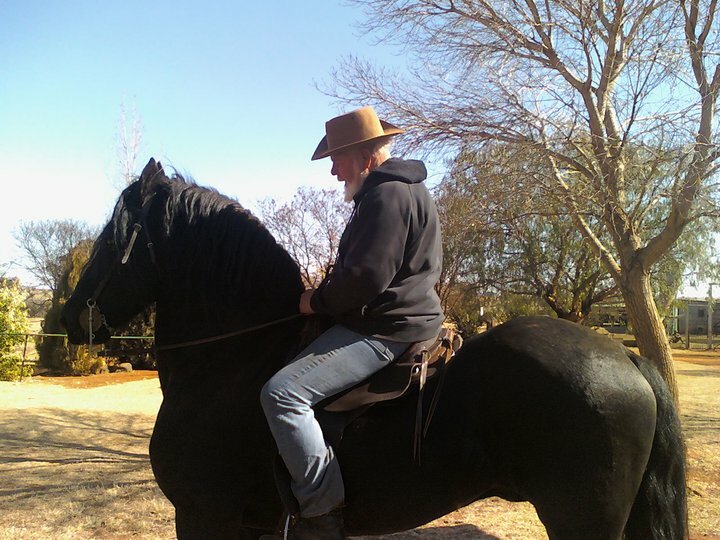 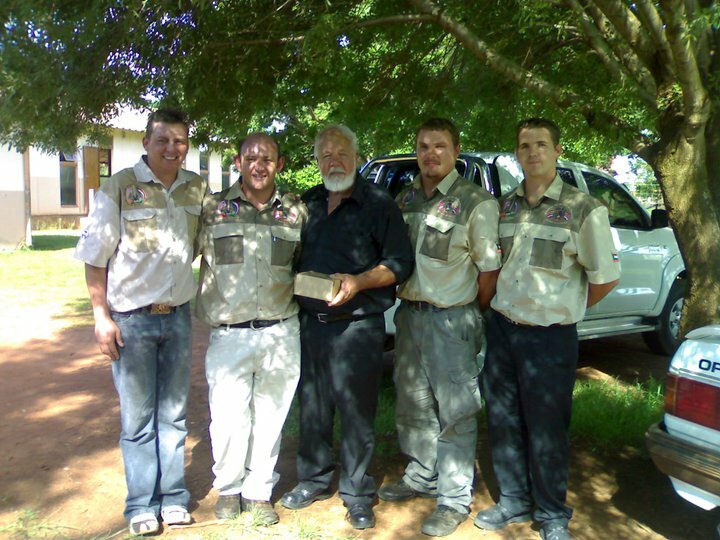 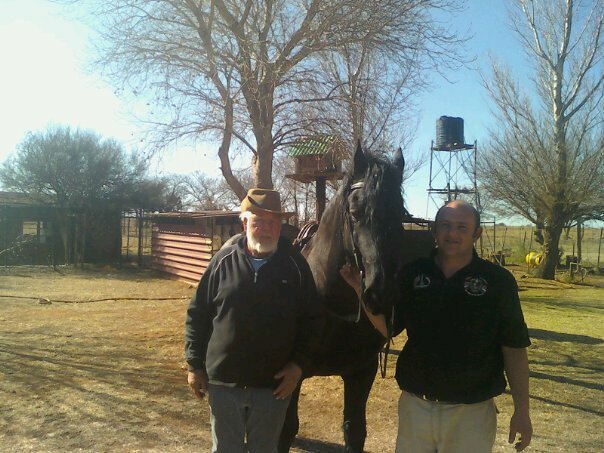 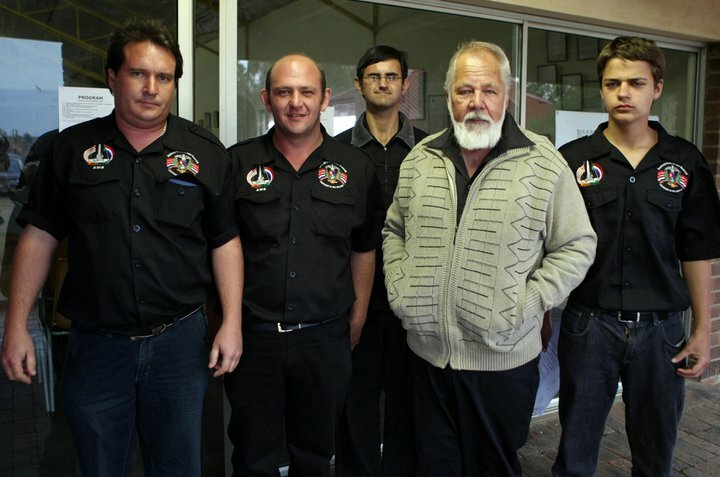 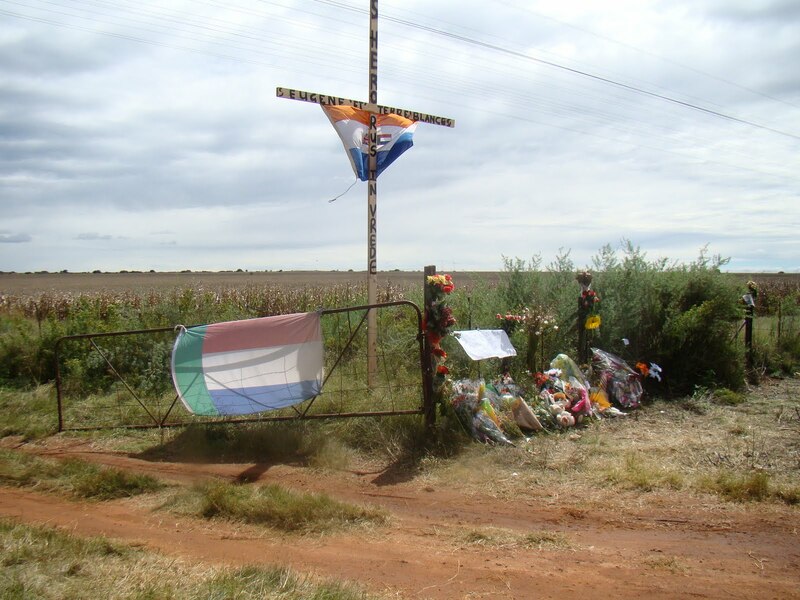 The South African farming community has suffered from attacks for many years. 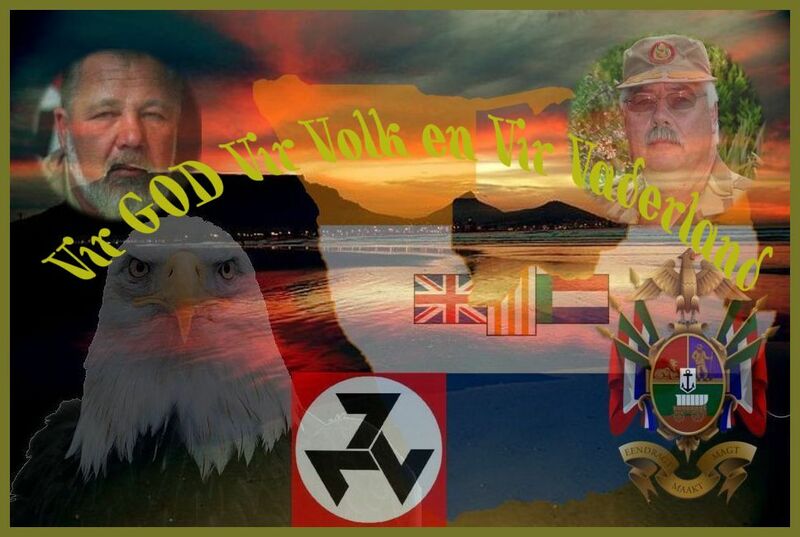 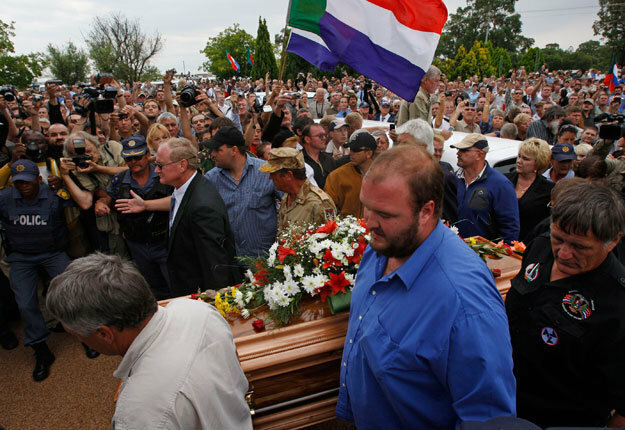 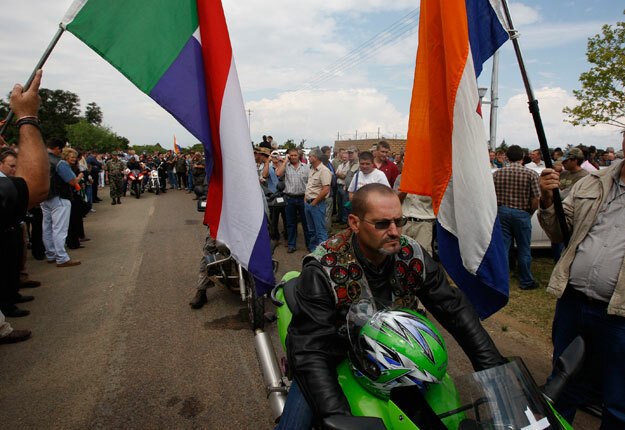 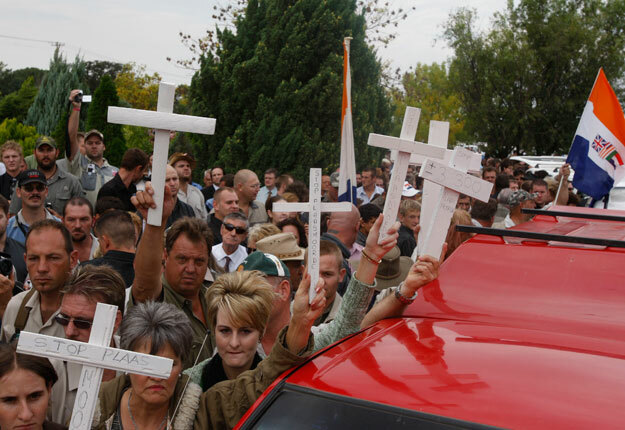 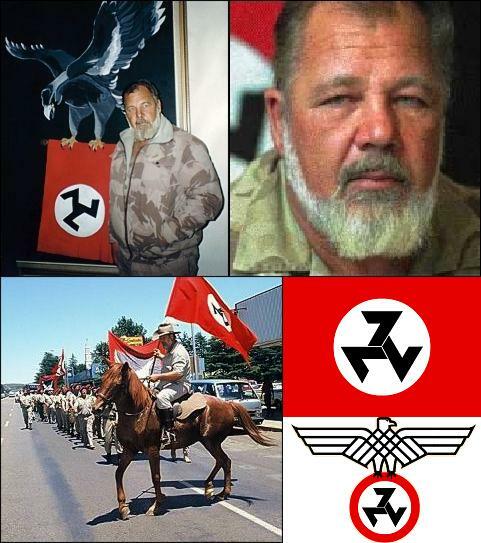 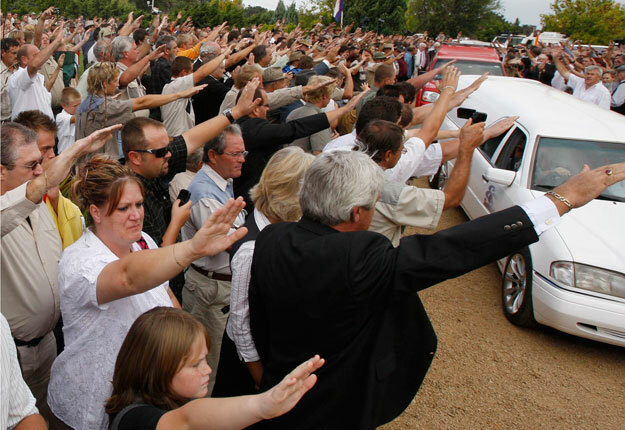 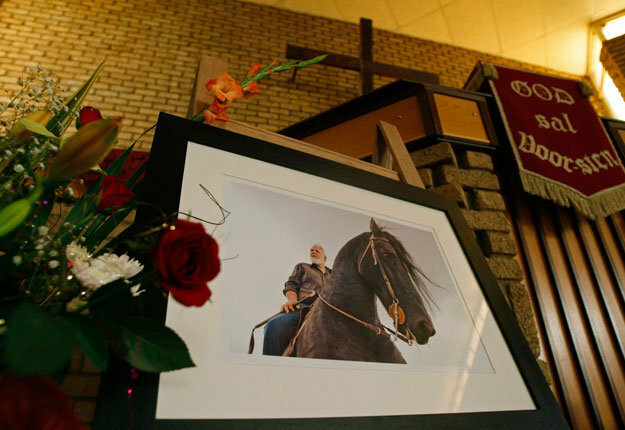 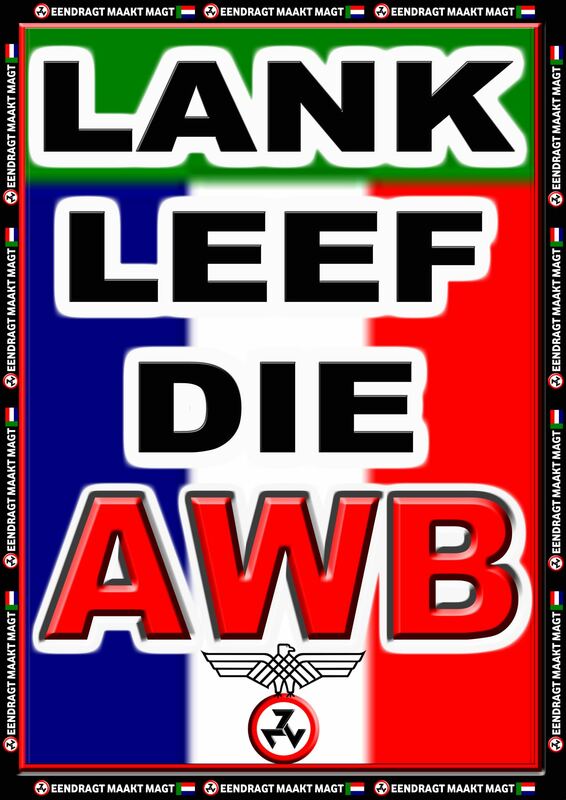 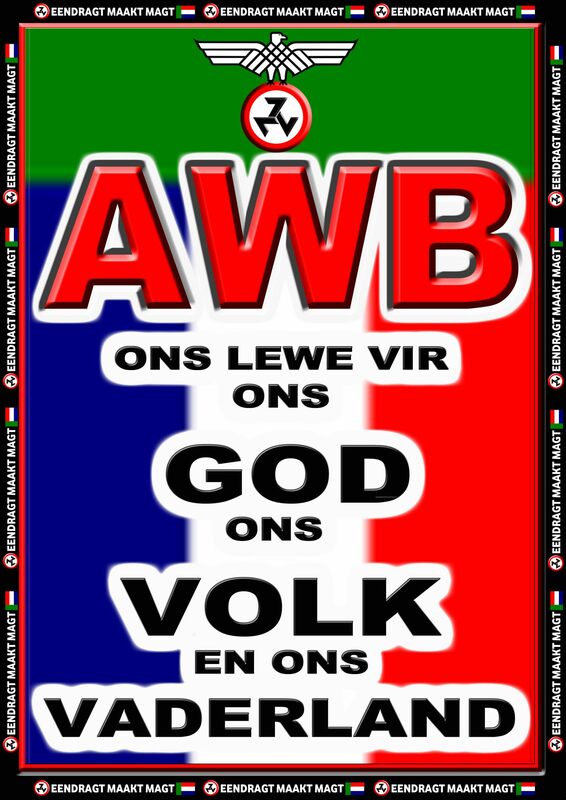 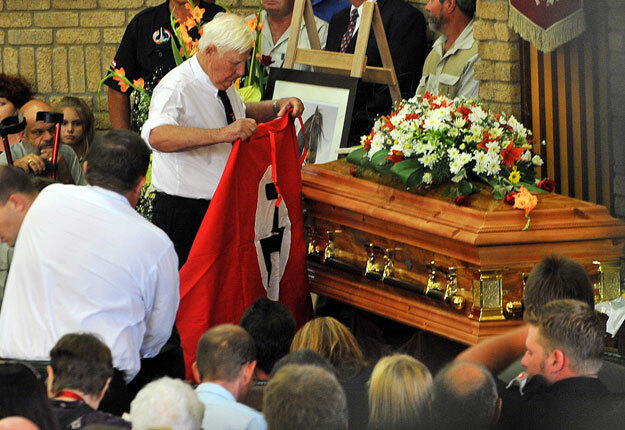 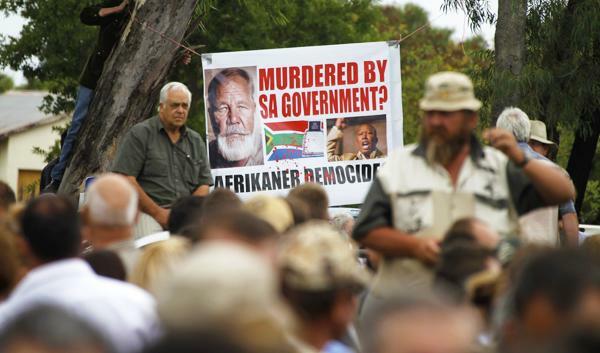 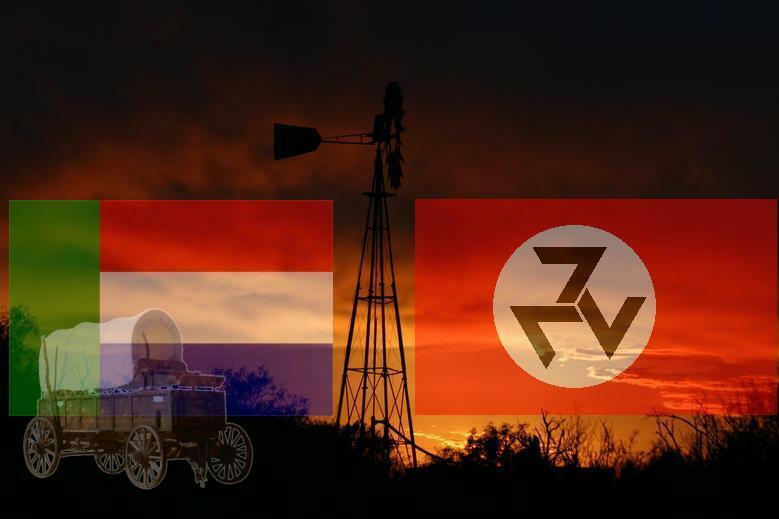 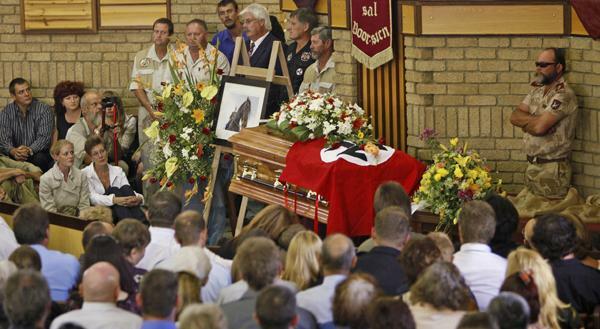 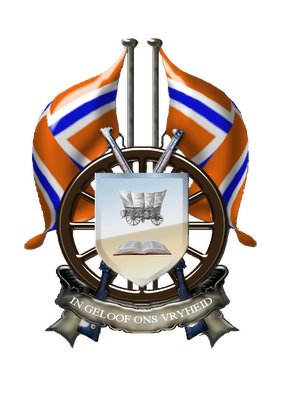 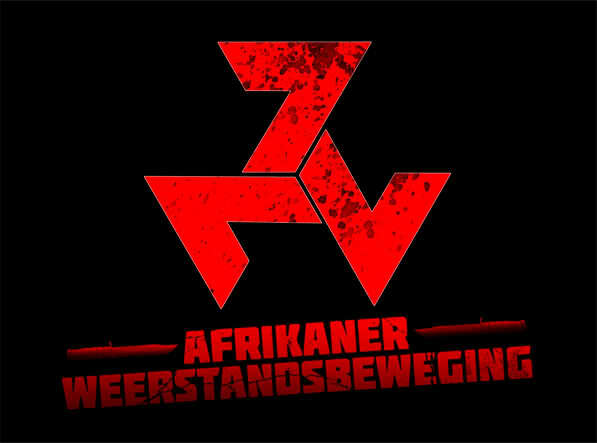 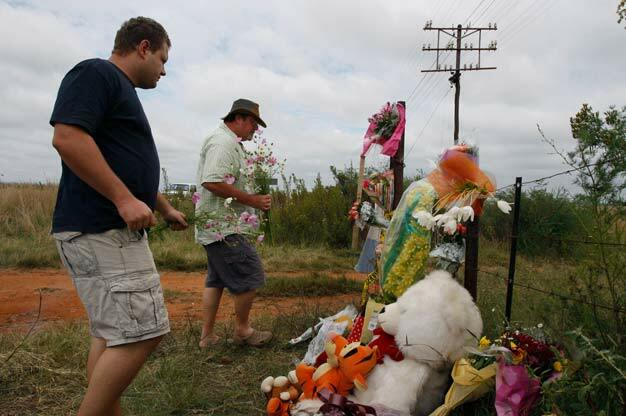 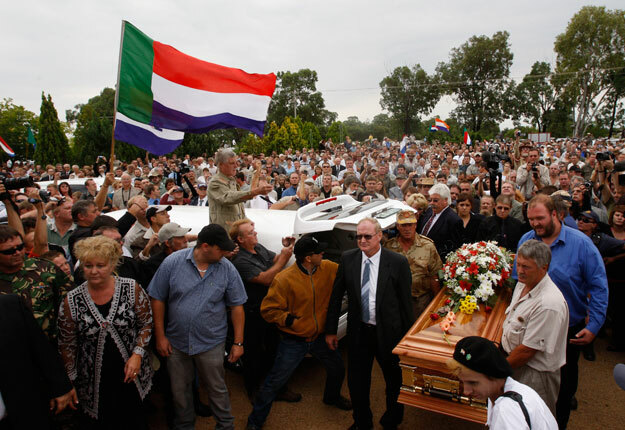 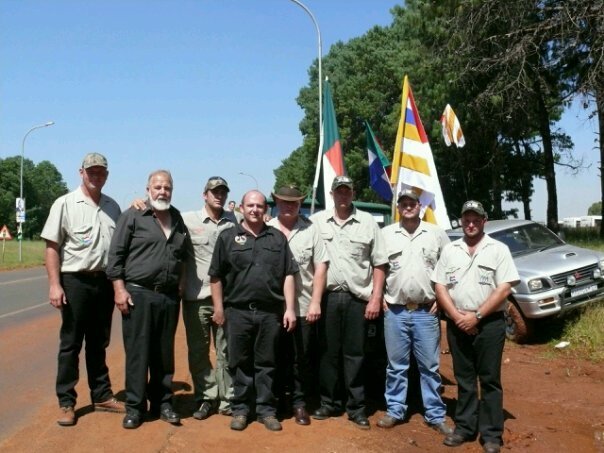 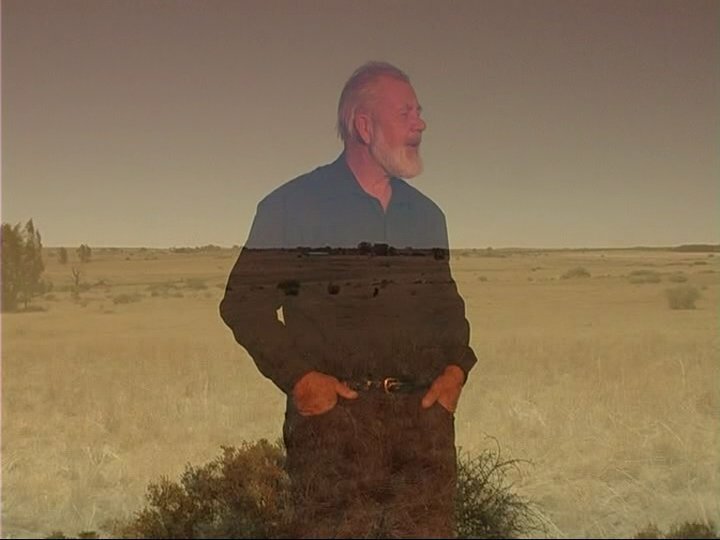 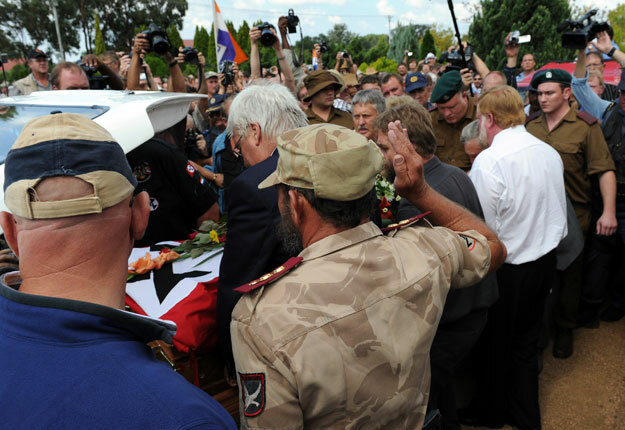 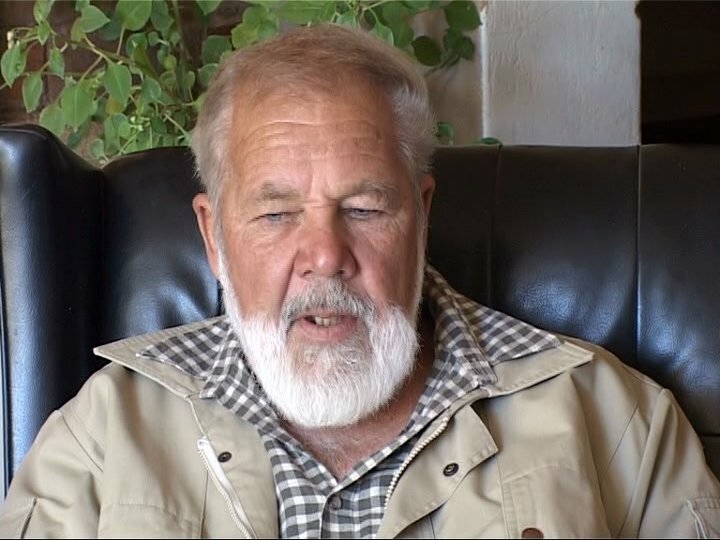 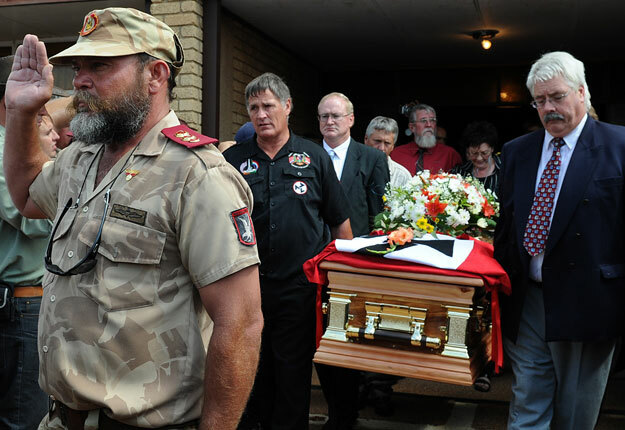 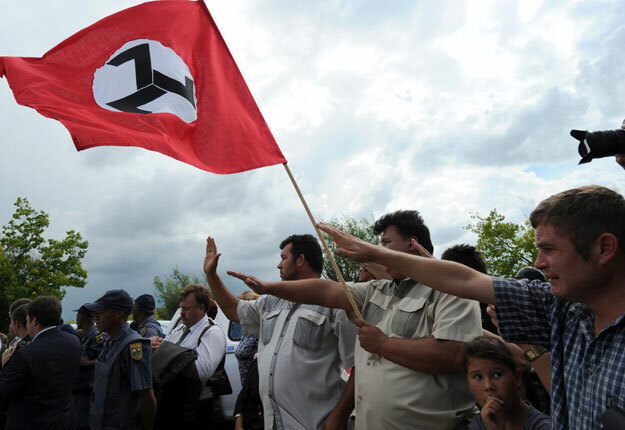 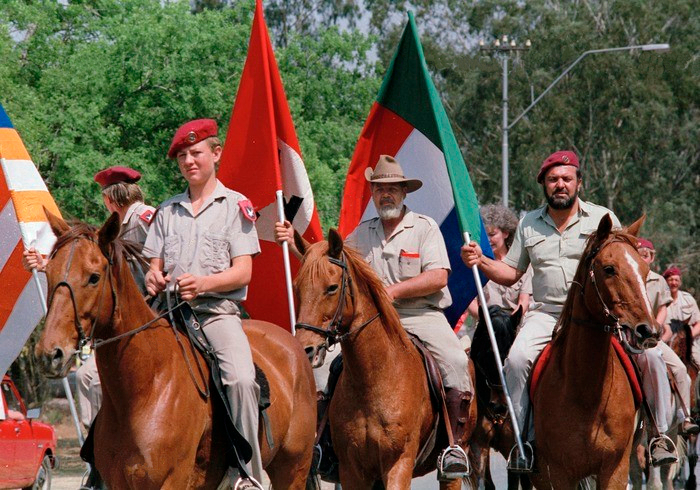 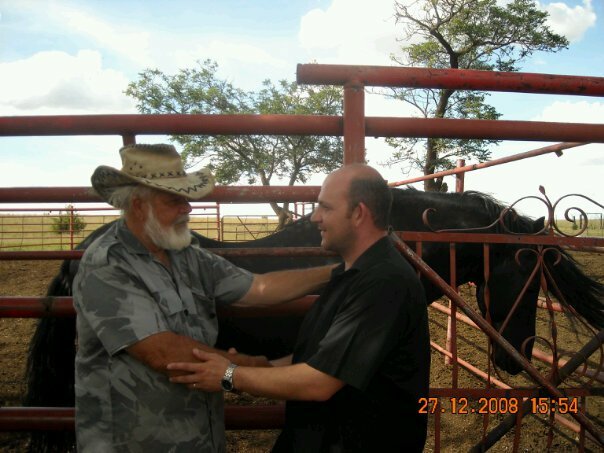 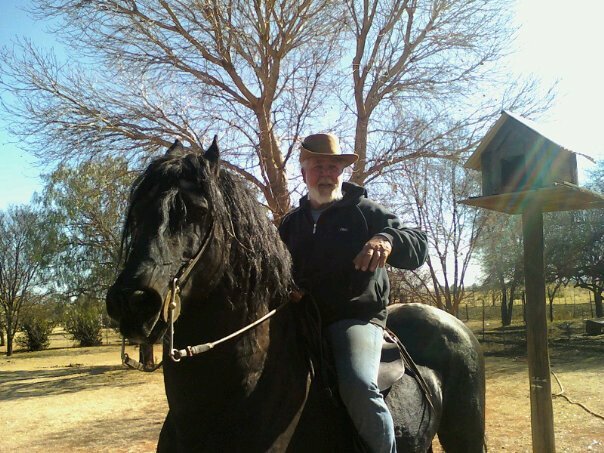 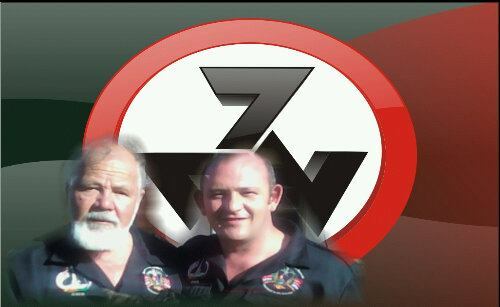 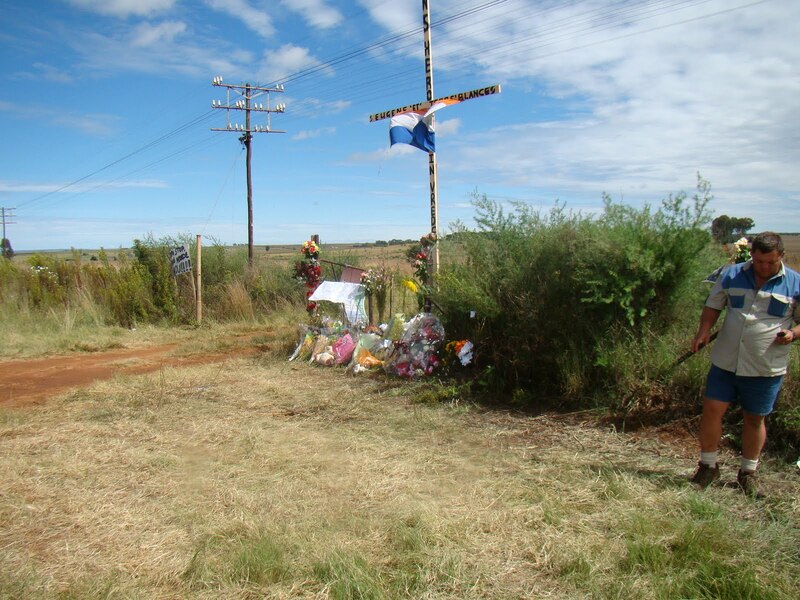 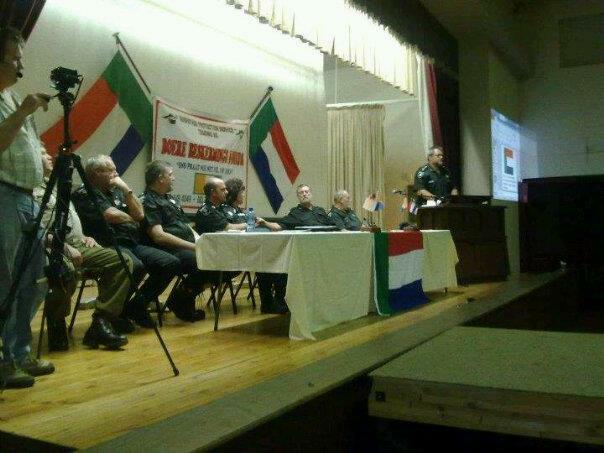 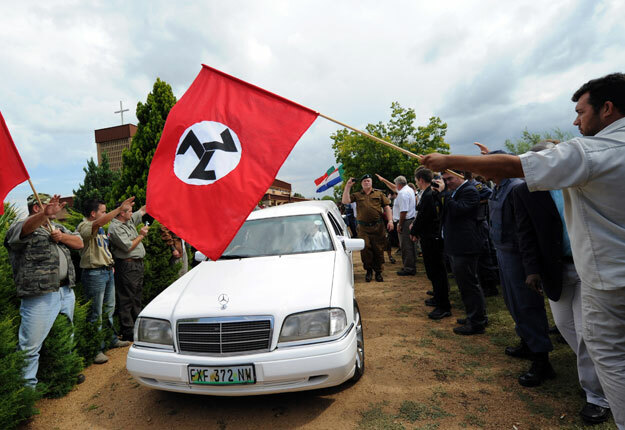 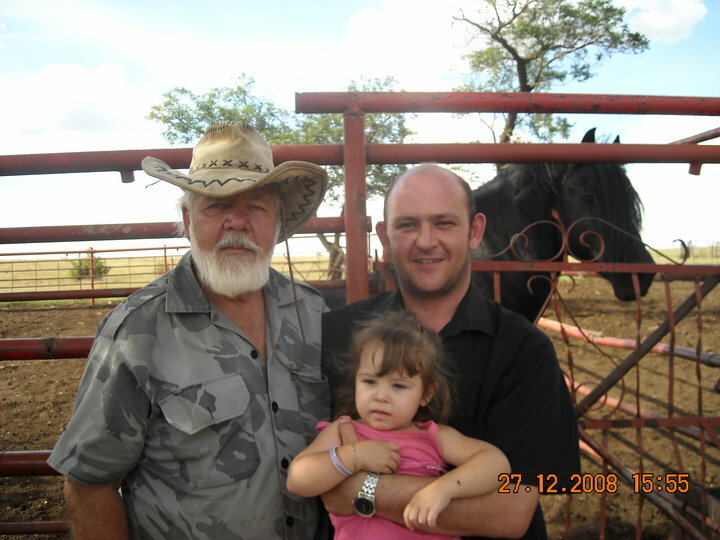 The majority of the victims have been Afrikaner farmers, with claims of death tolls of up to 3,000 cited in the national and international media.While the government describes the attacks as simply part of the bigger picture of crime in South Africa, white farmers point to brutal attacks and incidents involving self-declared anti-white motivations as evidence of a campaign to drive them off their land. 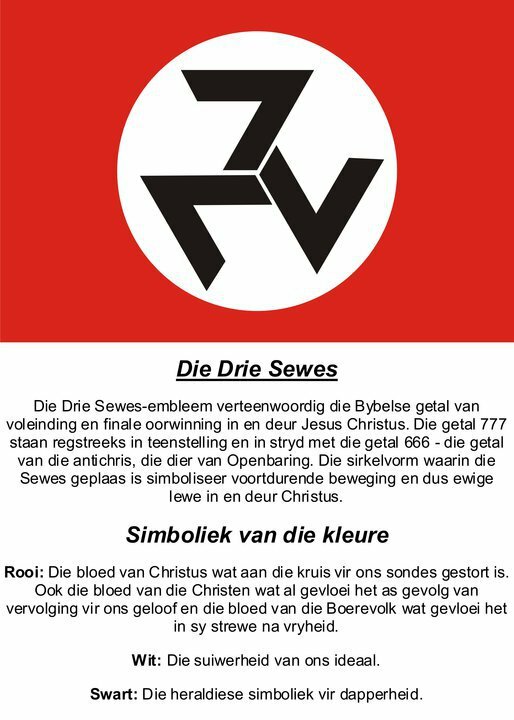 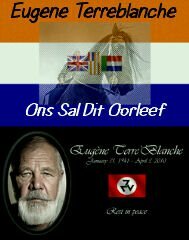 Die Twee Baniere kan Julle Gebruik , as Julle n Tuisblad het . 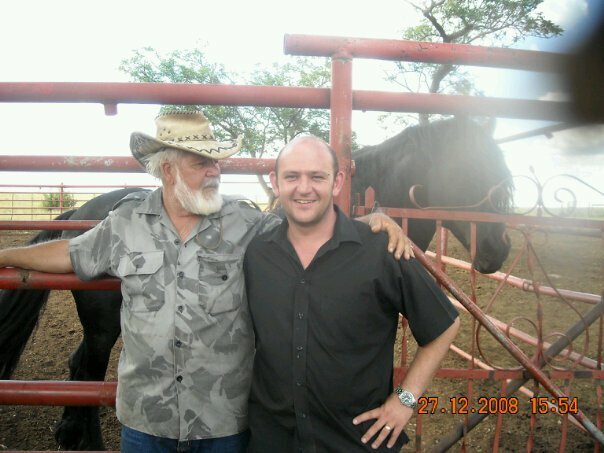 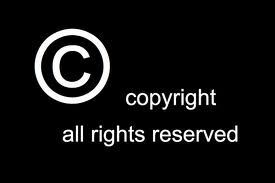 Dankie dat julle my tuisblad besoek het Groete Andy.